South Pole, ixo Foundation, and Gold Standard to use new blockchain application at solar PV project in Thailand to monitor, report and verify greenhouse gases. South Pole is partnering with the ixo Foundation, developer of the Blockchain for Impact, and Gold Standard, the benchmark standard for climate and development projects, to develop an application and impact tokens on the ixo protocol that will facilitate the monitoring, reporting and verification (MRV) of data for compiling greenhouse gas (GHG) inventories and originating carbon credits. The project will demonstrate the feasibility of such an application at an innovative solar photovoltaic (PV) project bundle in Thailand that is owned by Siam Solar Energy and registered under the coveted Gold Standard. This application protocol is intended to serve as a means of submitting verified data and automatically issuing certified carbon credits. Dr. Shaun Conway, founder and President of ixo Foundation, says: “This is an important application of the ixo protocol that could bring about a much-needed transformation in the costs and speed at which carbon credits can be generated to scale economically viable climate impact mitigation projects. South Pole and the Gold Standard are leaders assuring the supply chains for generating, certifying and trading carbon credits. Enabling these organisations to scale with cost-saving and process efficiencies would be game-changing in ways that are important for us all." 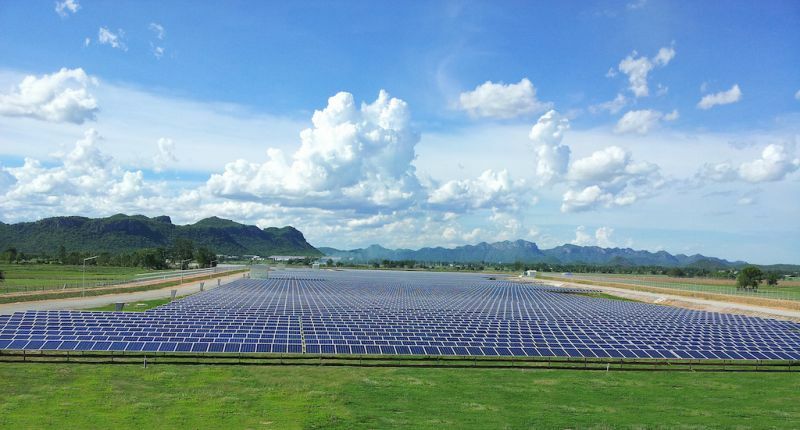 The pilot project bundles 10 solar farms that together generate 148,477 megawatt hours of clean electricity that is delivered to the Thai national power grid every year, reducing the need for fossil fuels-based energy and bringing down GHG emissions. The project also contributes to local sustainable development by meeting the energy demand for people in central Thailand, providing over 100 job opportunities, and improving the local infrastructure. The overall vision of the cooperation is to streamline and accelerate the data verification processes for GHG inventory management and carbon credit origination. This application protocol has the potential to reduce MRV costs by up to 10x in comparison to current practices and to allow real-time tracking of GHG inventories and issuance of carbon credits. Renat Heuberger, CEO and Co-Founder of South Pole, says: “We manage the mitigation outcomes for 700 projects around the world; they create tangible impacts every day, every hour, every second. They reduce CO2 emissions, provide clean energy, protect forests, alleviate poverty. By connecting our projects to this application, we will enable our partners and investors to track and benefit from these impacts in real time - inspiring them to scale up their engagement." The application will be designed for scalability in order to facilitate GHG management on a project, entity, sector and national level. It will also increase the relevance of cash-flows that are linked to verified mitigation outcomes for project developers and within the climate finance community in general. Marion Verles, CEO of Gold Standard, says: “Gold Standard has always been known for rigour; now we are focused on making rigour streamlined and scalable by digitizing the certification process. This collaboration represents a critical leap forward in driving sustainability at scale." The partners will explore the potential of digital verification processes for carbon offsetting on the 14th of September, during the Global Climate Action Summit in San Francisco, at Swissnext. They will discuss the vision and next steps of the pilot project on the 25th of September, during New York Climate Week, at 05.00 PM at the Explorer Club. Others working on similar initiatives are invited to reach out and take part in the events by registering via https://ixo.foundation/events/. Download the full media release here. Nadia Kahkonen, South Pole, at n.kahkonen@southpole.com. Ingo Puhl, South Pole, at i.puhl@southpole.com.